In Japan, there is a classical form of theater know as Kabuki. Kabuki theater is a drama expressed through song and dance, where the actors use face paint to describe their roll in the production. This face paint, referred to as Kumadori, makes it easy to distinguish characters using colors to symbolize the identity. Blues represent spirits, greys and browns represent animals or monsters, the villain is often painted with black beards and purple veins, and most importantly… Red indicates the hero. 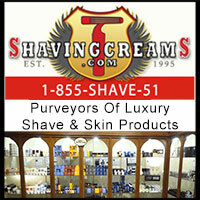 The red paint is a symbol of virtue and power. 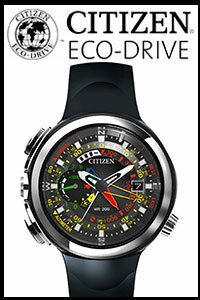 Seiko has used this inspiration in the latest edition to the Ananta series. 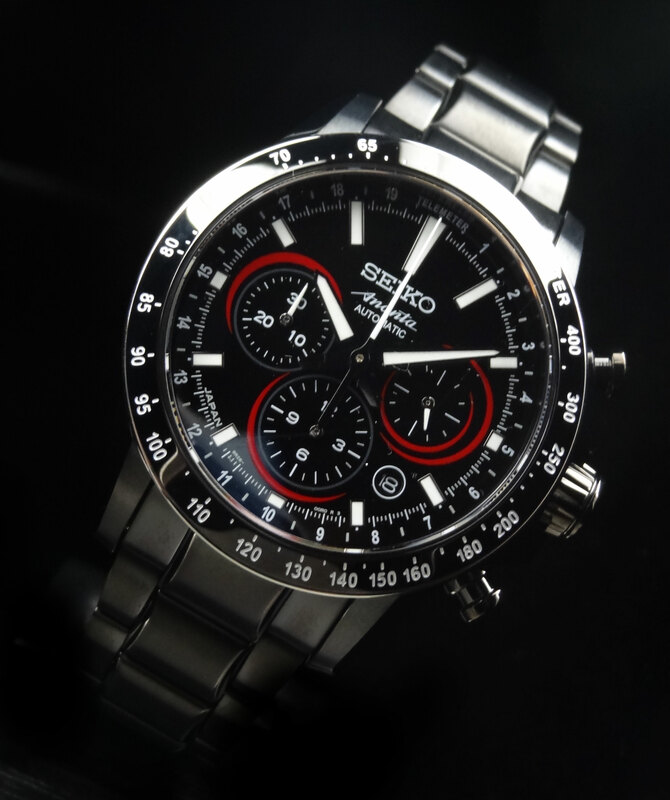 The Seiko Ananta Kumadori Limited Edition SRQ015. 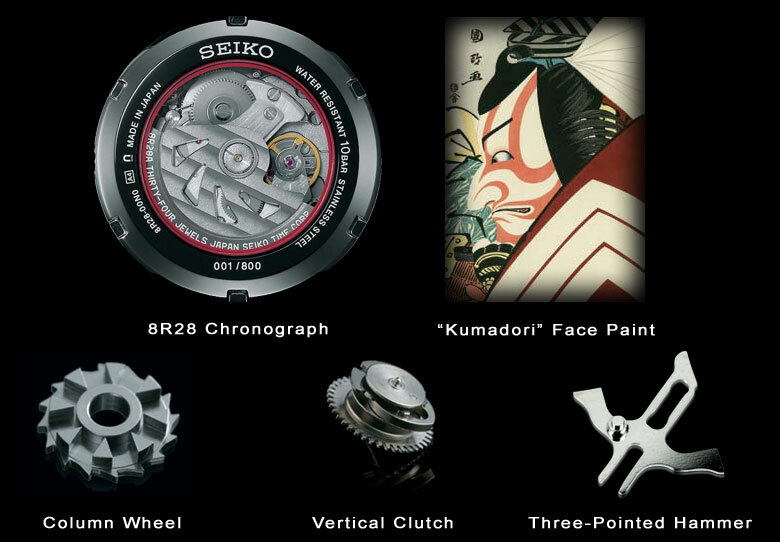 With this new introduction, Seiko has gone to Mr Isshu Tamura to help express the heroic timepiece. For those who are not familiar, Mr. Tamura is a renowned Japanese Maki-E lacquer artist who has done some tremendous work. Best known for his work for Sailor pens, Mr. Tamura also executed the lacquer dial on last years limited edition Seiko Ananta Diver SRQ013. 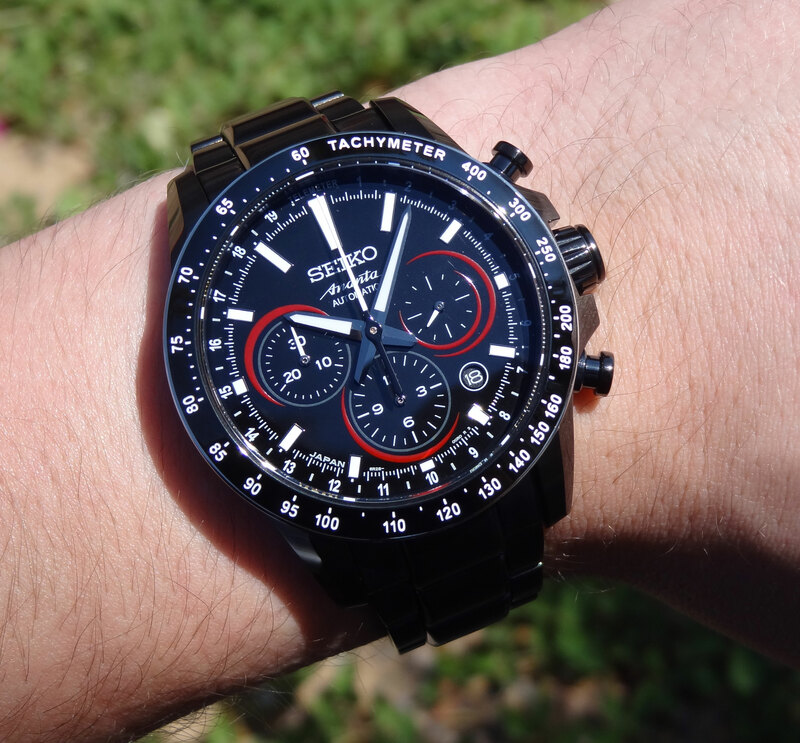 While last years work was strictly black Maki-E lacquer, the new Seiko Ananta Kumadori SRQ015 has incorporated the red lacquer striping around the sub-dials still having the hand painted and polished black background. 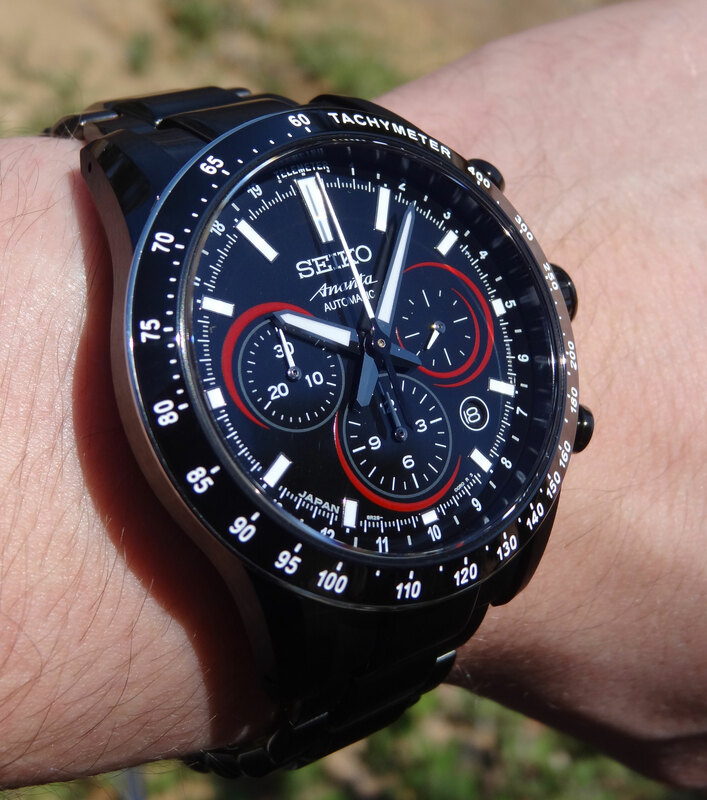 The black gives the dial tremendous depth, while the heroic red lacquer appears to jump off the face, and also adds legibility to the chronograph and small seconds sub-dials. 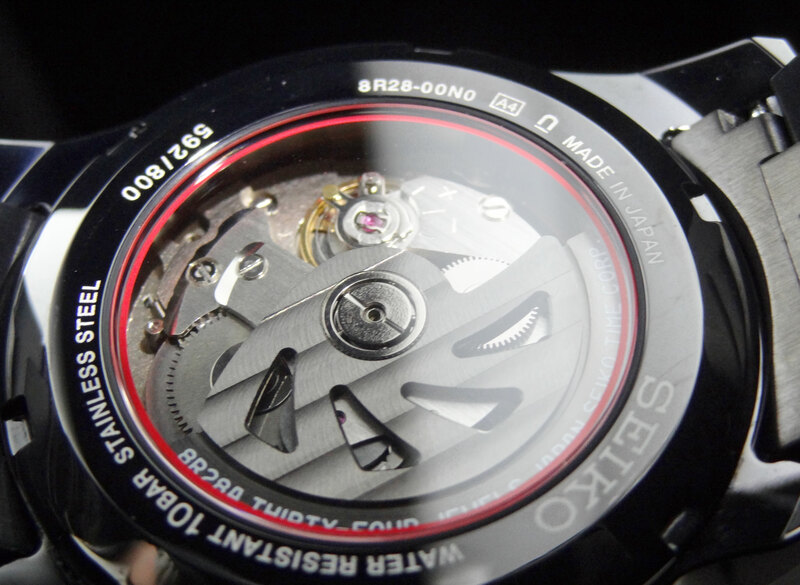 The Seiko Ananta Kumadori SRQ015 uses the same, very impressive, 8R28 movement found in the rest of the Ananta series. 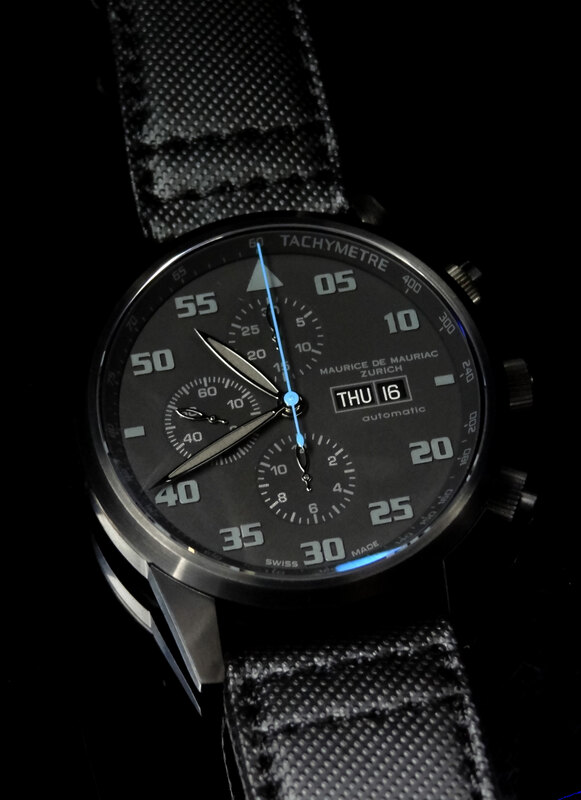 There are many advantages to the 8R28 compared to most other automatic chronograph watches. Using a vertical clutch and column wheel to ensure a precise start to the chronograph, with no lag when the chrono is engaged. The other advantages to this system is that you can run the chrono all day to show off the sweeping second hand, not having to worry about damage or added accuracy deviation. 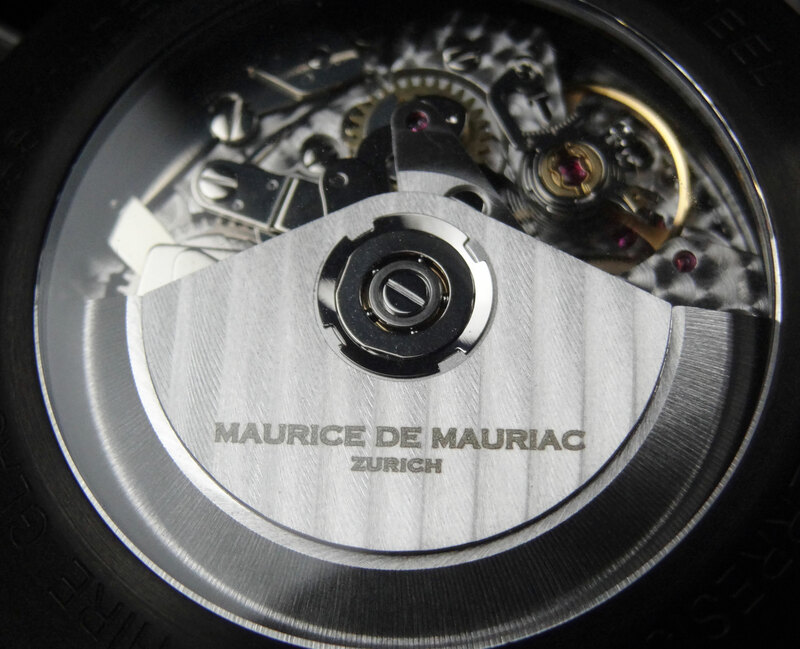 The 8R28 also uses a three pointed hammer, to guarantee the chrono hour, minute, and second hand all fly back and reset precisely, all in perfect sync with each other. 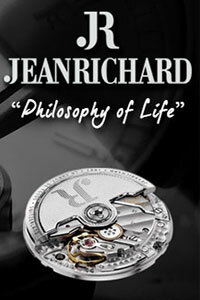 The movement consists of 34 jewels, has over 45 hours of power reserve, and a rate of 28,800 beats per hour. 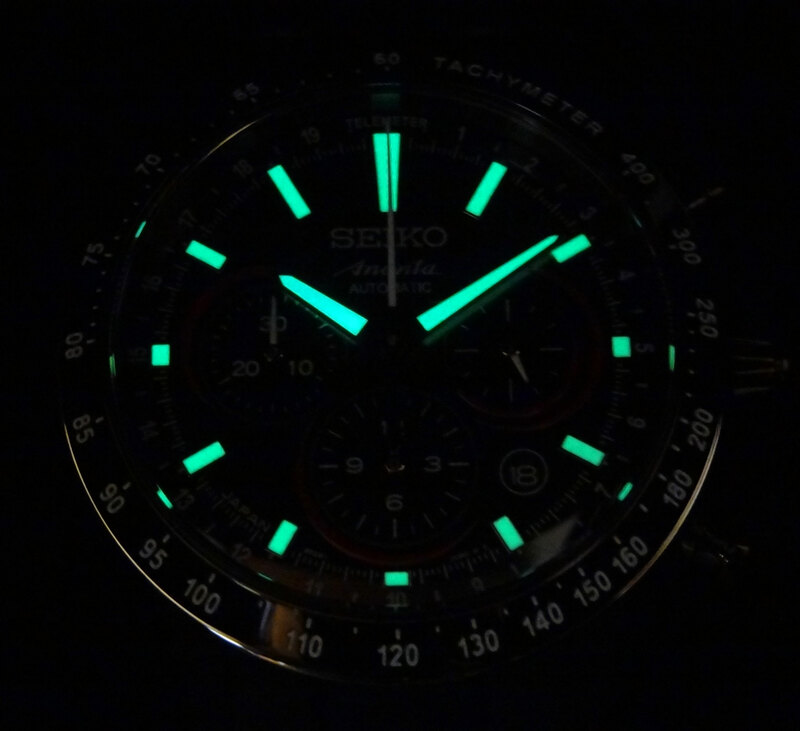 Another added feature on the Seiko Ananta Kumadori Limited Edition SRQ015 that you will not find on any other Ananta is a Telemeter. 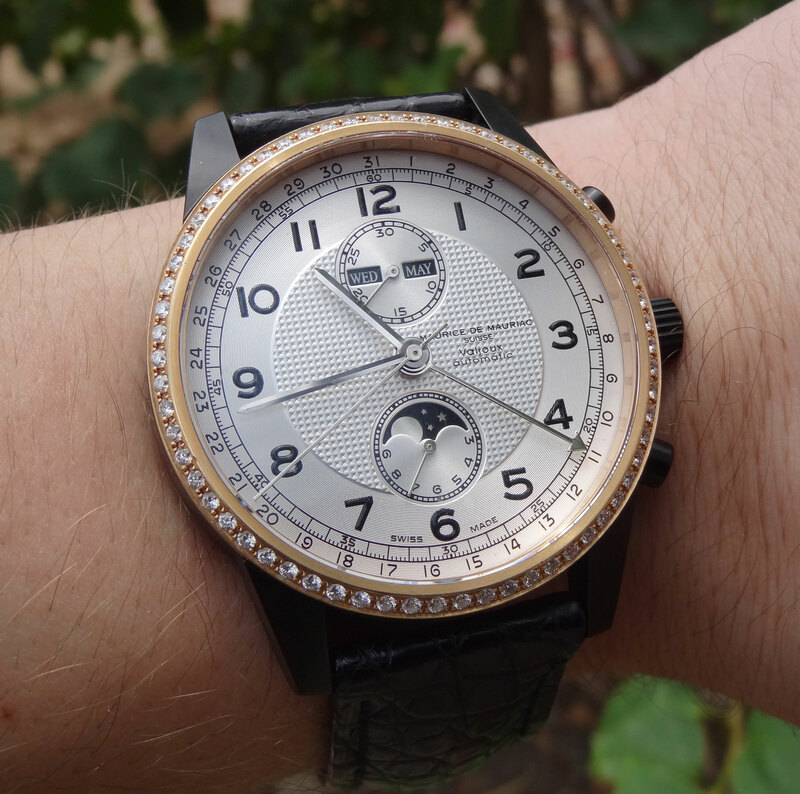 The Telemeter can be found on the outer edge of the dial. This tool is used to measure distance of an event, based on sight and sound. 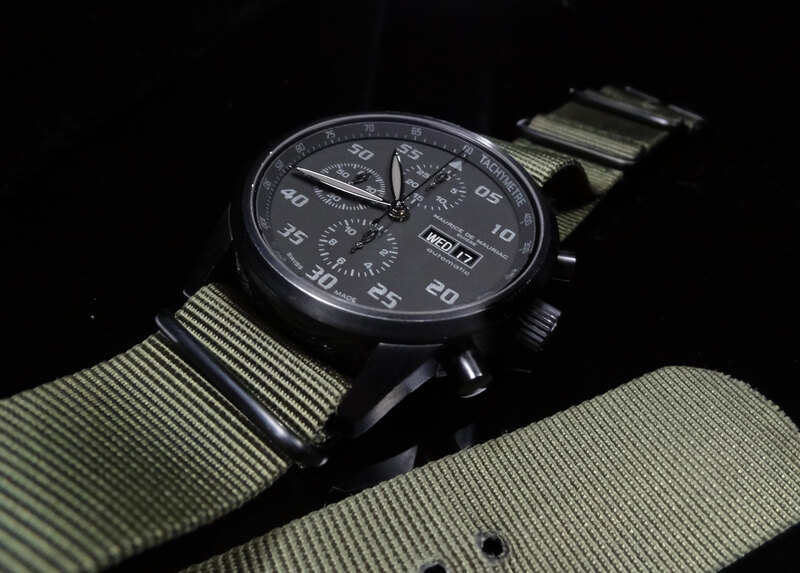 The device is used by starting the chronograph when you see an event occur (such as lightning or a bomb drop), and stopping the chronograph when the noise from the event has come to a stop. 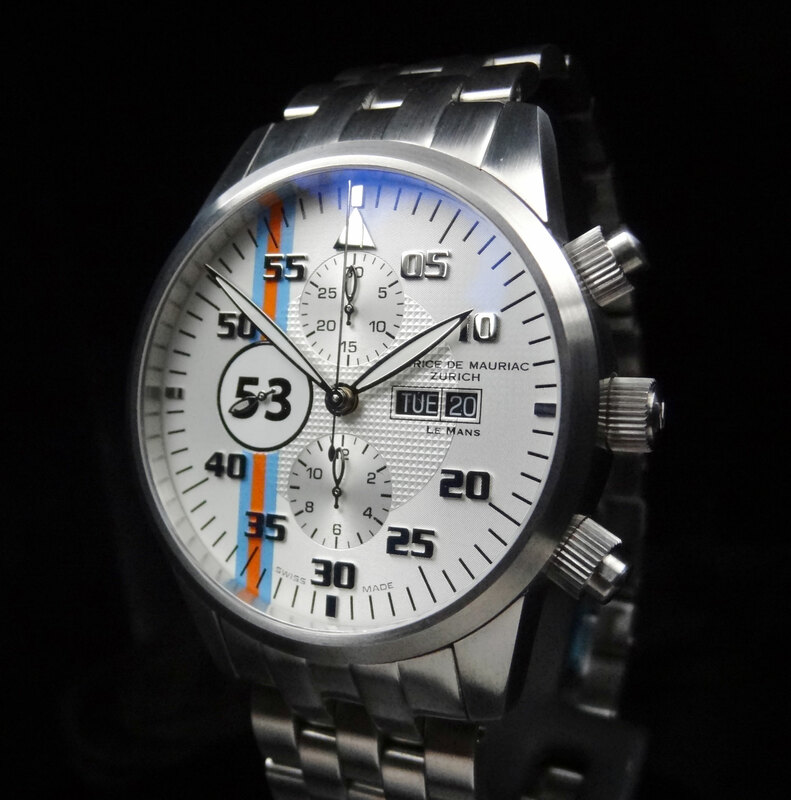 Wherever the chronograph is stopped, it will indicate the distance of the event in kilometers. The case and bracelet are finished in a black hard coating, that exhibits both a brushed and polished look. 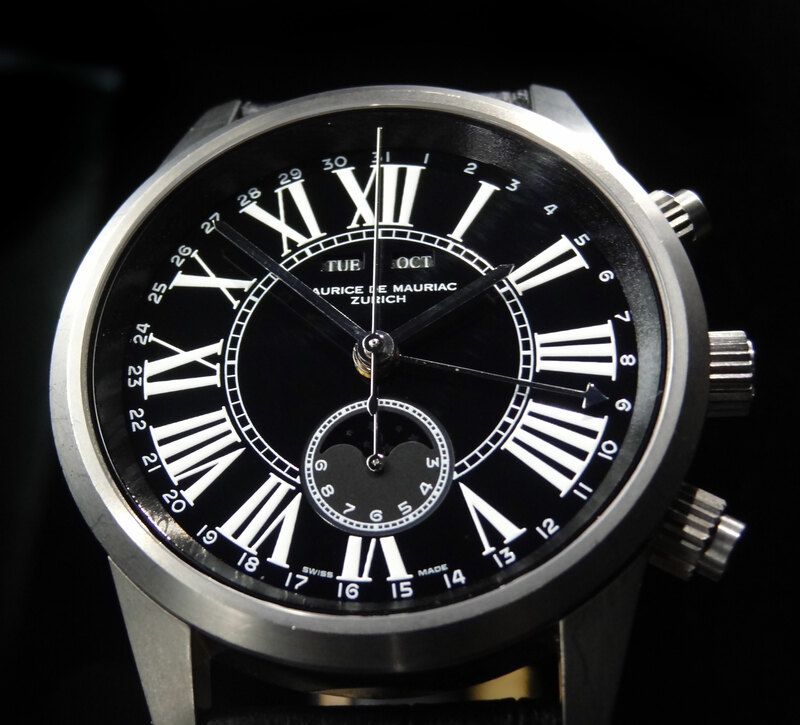 The polished attributes of the watch look very much so like the black lacquer used on the dial. A perfect compliment indeed. The coating is over 1,000 hv and just as durable as any PVD process. This is the same black coating that was used on the SRQ013, which I own personally, and know from putting it to the test is incredibly durable. 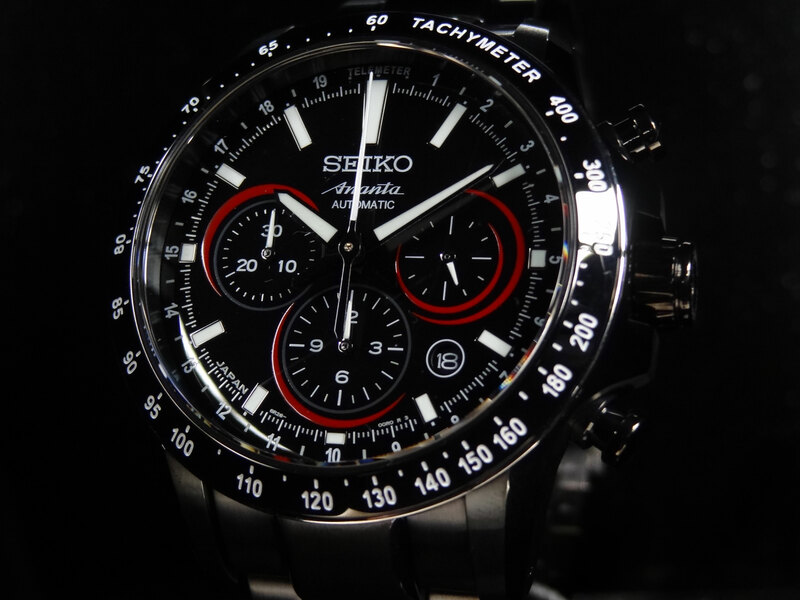 Overall, another amazing timepiece that Seiko has added to their roster. Both looks and mechanics are top of the line and make for a great collectable. Only 800 pieces were made and will certainly sell out soon. 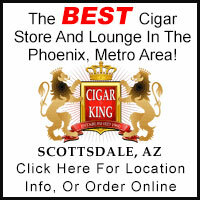 To see more, feel free to check them out on HERE on AZ Fine Time. As always, thanks for reading and I hope you enjoyed!